Elegieen von Properz. [Übersetzt und mit einer Vorrede von Karl Ludwig von Knebel]. Jena and Leipzig: Christian Ernst Gabler,, 1798. Octavo (197 x 114 mm). Recent marbled boards, red paper spine label lettered gilt. Occasionall light spotting throughout, as usual, the odd minor stain; a very good copy. 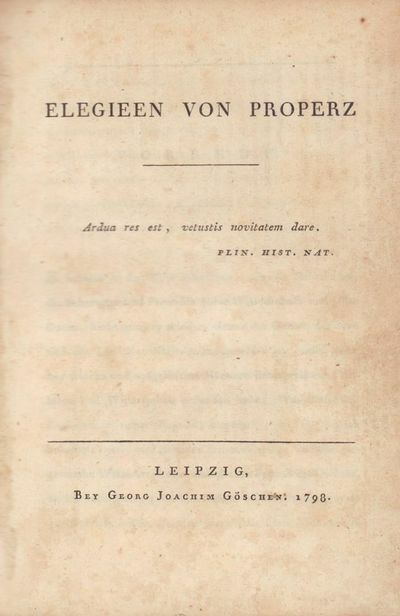 First edition of Fichte's principal work of ethics, in which he develops the view of moral activity as a free commitment of the will in disregard of desires and empirical conditions. 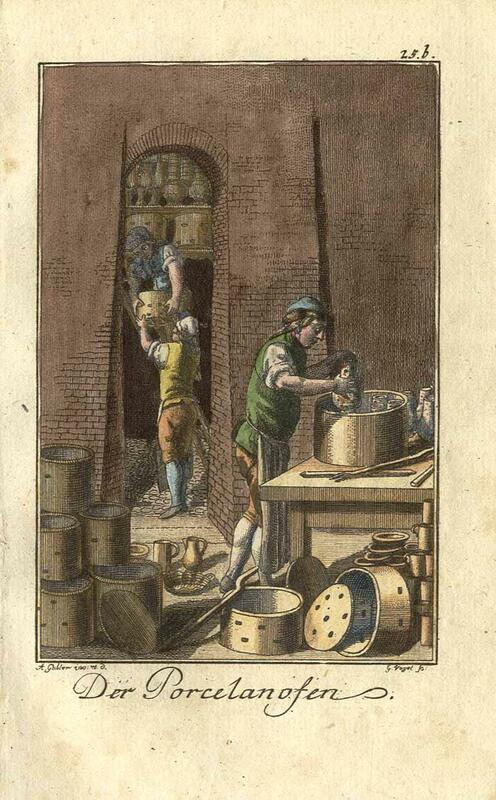 12 engraved plates after Lefèvre engraved by Godefroy.18mo. 230pp. f. blank. 213pp. 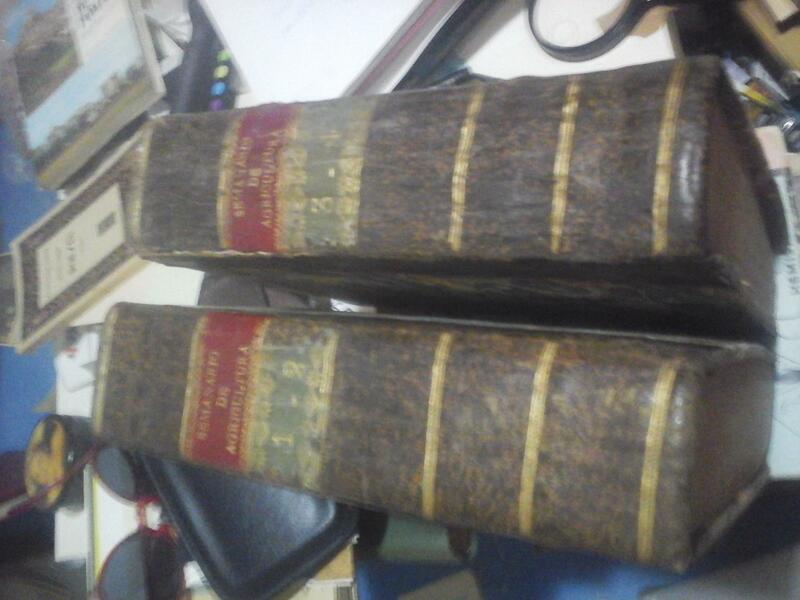 Contemporary red morocco, triple gilt fillet on covers, spine gilt in compartments (joints neatly restored). Katechismus für alle Kranke, welche sich kleiner, unschädlicher, aber doch wirksamer Medizingaben nach der neuen Heilmethode bedienen und keine Fehler gegen die Diät begehen wollen. (mit dem zweiten Titel:) Katechismus der homöopathischen Diätetik für Kranke. Zweite, verbesserte und zeitgemäßere Auflage von Dr. G. W. Gross. XVI, 80 S. Neue Lwd. mit eingeb. Orig.-Umschlag. Haehl I, 436 Schroers, Lexikon deutschsprachiger Homöopathen 22 Tischner 430. 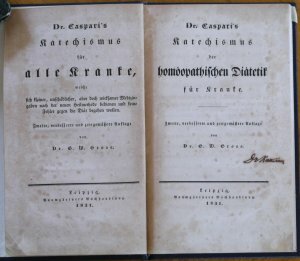 - "Caspari (1798-1828) hat das geschichtliche Verdienst, die Homöopathie als erster vom Standpunkt der Schulmedizin behandelt und dabei in vielem ein bejahendes Urteil gefällt zu haben" (Tischner). - Etwas fleckig. Printed By E. Merriam & Co. for the Author. Fair with no dust jacket. . 1st; Second Printing. Hardcover. 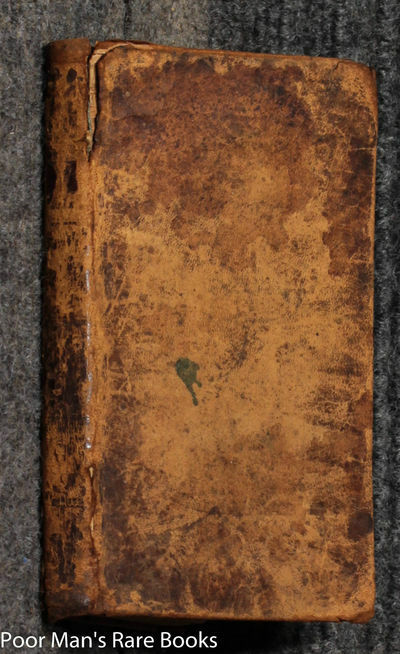 139+(iv) pages; English Short Title Catalog, W37629. Evans 33670. Browned and foxed as always due to the quality of the paper. Wants the blank front fly as usual, but a complete copy. Four leaves from 135 up to the Errata [which is present], with losses of 50% or more. .
Titus Livius von Patavium. Römische Geschichte von Erbauung der Stadt an. Nach Drakenborchscher Ausgabe aus dem lateinischen übersetzt und mit Anmerkungen versehen von Gottfried Große, 10 Bände. The Republican Judge: Or the American Liberty of the Press, As. Observations sur la Constitution des Six Premiers Mois de l'An V, à Montpellier, et sur les Principales Maladies qui ont régné, pendant ce Sémestre, dans cette Commune et aux Environs, Communiqués aux Elèves de la Cliniaue, par Citoyen Fouquet, Professeur de Clinique interne près l'École de Santé de Montpellier, ci-devant Professeur de Médecine, ancien Médecin de l'Hôpital militaire et de la Citadelle, Membre de l'Académie de Padoue, de la Société libre des Sciences et belles Lettres de Montpellier, Correspondant de la Société de Médecine de Paris. A Montpellier: De limprimerie de Fontenay-Picot, rue des ci-devant Capucins, No. 200,, an VI . First printing. Paperback. Fine. 8vo ; [i ;viii ; 110 pages, errata (i) ; i] First edition, untrimmed and uncut. Still in the printers marbled wrapper. Condition is fine. This copy is signed and inscribed by the author: " au Citoyen Baraillon, Médn de la santé de Montpellier, comme un faible témoinage dattachement et dEstime, de la part de lauteur. H. Fouquet. " This copy also has the hand corrections in ink of the author in addition to the Errata. An interesting report on the weather in Year IV (1797) and the subsequent local illness. The winter of 1797-98 was marked by extreme cold, wind (Sirocco) and ice. Dr. Fouquet recorded the barometric readings. He records chimneys being blown down on the first Sunday in Lent, doors yanked off their hinges, trees uprooted, even an earthquake. He remarks on the quality of a thermometer from Reaumur. Herds of sheep died. The illnesses which followed this extreme weather are recorded, as are treatments with lipécacuanha et la rhubarbe; racine de columbo, et de cachou, lextrait de quinquina. 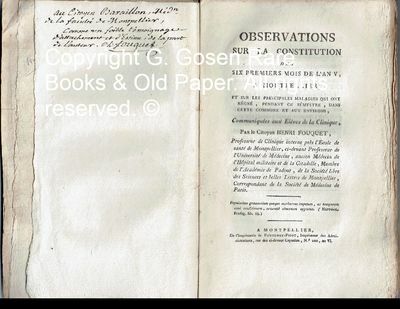 Fouquet records other treatments of other doctors in use at the time of his writing and discusses advantages of various treatments. He gives a graphic description of the progression of a gastric complaint that became septicemia. He refers to other bad winters, such as the winter of 1773. He also observed the usefulness of the pulse as essential diagnostic data. Autopsies were performed to determine causes of deaths. Dr. Fouquet writes a very interesting description of the physical conditions that warrant the use of the word epidemic. 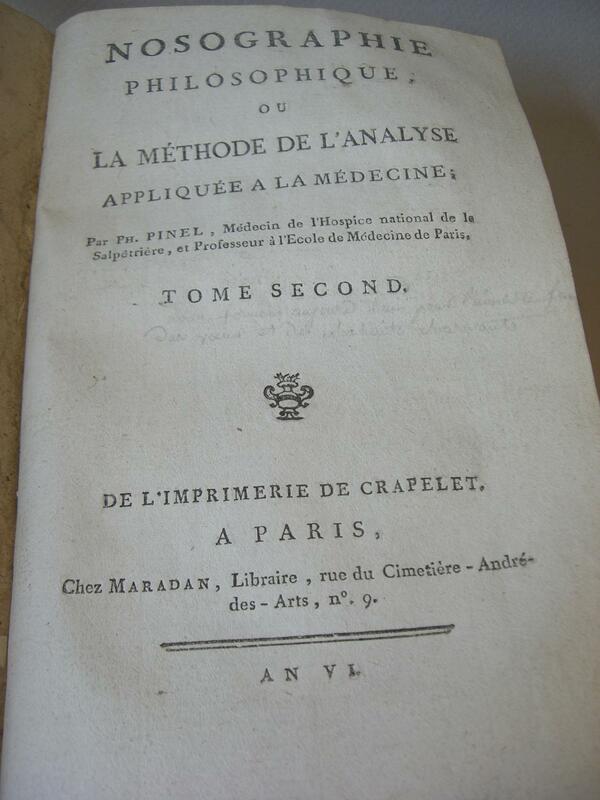 Fouquet devotes many pages to a comparative study of epidemics from Galen, Hippocrates and Prosper Martian forward to his own time in the work of Plenciz, Stoll, Grant, Huxam, Rivière, Giudetti, Baillou, Santa-Cruce, Hoffmann, Robert and Baglivi. Of great interest is the thorough comparison of treatments of fever (with quinquina) and of the history of treatments for péripneumonie. This is an extraordinary account of an epidemic caused by prolonged extreme weather (torrential rains) followed by prolonged cold and the public health response directed by Dr. Fouquet. Two copies were located in the United States at the Harvard Medical School and in the National Library of Medicine. Five additional copies were found in France, none recorded as being signed or annotated by the author. - Antique Master Print, untitled. 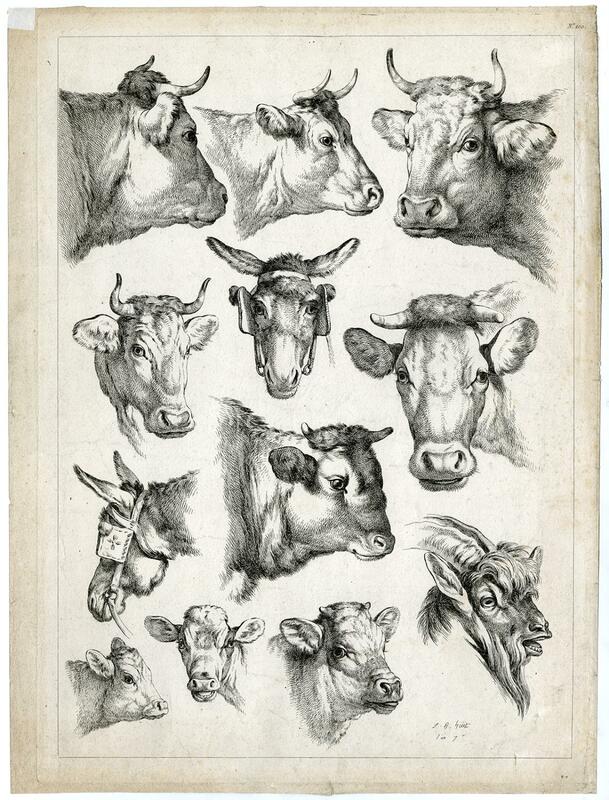 Studies of cows and other animals. Etching on laid paper. Watermark: T. Dupuy Made by 'Jean Baptiste Huet' after own design. Jean Baptiste Huet (French; 1745-1811) worked as a painter of animals and rural scenery. Condition: Good, given age. Small margins, some small tears and foxing. General age-related toning and/or occasional minor defects from handling. Please study scan carefully. The overall size is ca. 14.7 x 19.6 inch. The image size is ca. 13.9 x 19.2 inch. The overall size is ca. 37.3 x 49.8 cm. The image size is ca. 35.4 x 48.8 cm. LOWER CANADA]. HOUSE OF ASSEMBLY. Quebec. Printed by Order of the House ofAssembly, and Sold by John Neilson. 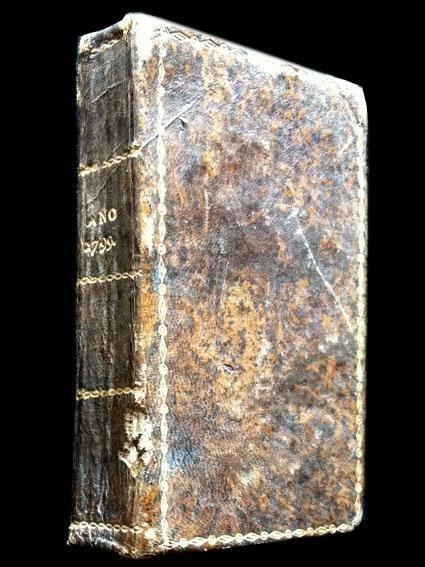 1798.. Soft cover. 4to, (in fours), 23x 17.5cm,, preliminary leaves [-2],3-204p., French and English title pages andprinted in English and French on facing pages, in original half calf andmarbled boards, red leather spine label, ex-library with bookplate andstamps on both tp's., else a fine clean copy. (cgc) Tremaine 1094. TPL640. Gagnon I: 1830. The Journals were published in very small editionsof 100 copies, for use of the Members of the House of Assembly. Printedfrom 1793 to 1836, the first Journal was issued after the first sessionof the Lower Canada House of Assembly in December of 1792. TheConstitutional Act of 1791, divided Canada into two parts, Upper andLower. Lower Canada being pre-dominately French speaking, necessitatedany official documentation being in both English and French. 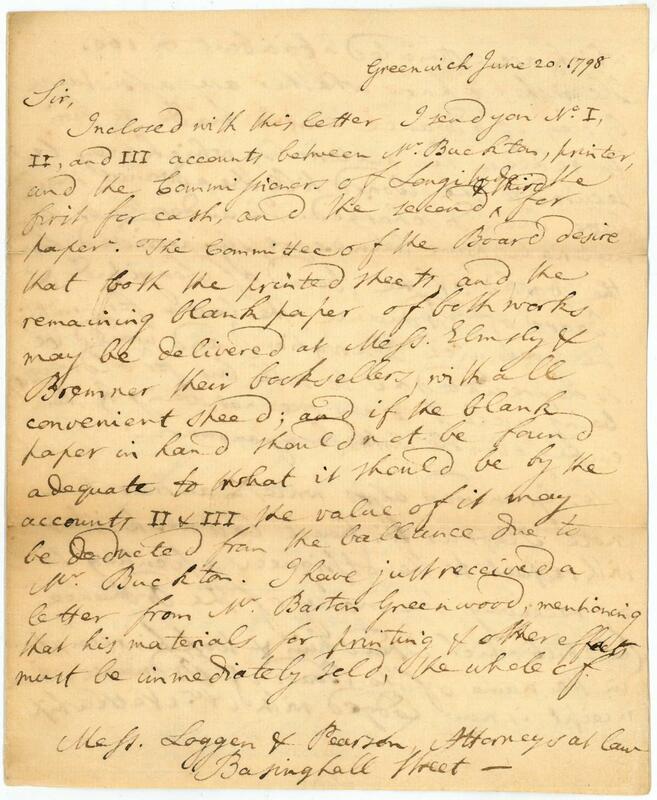 The Houseof Assembly had the authority to levy taxes in the Colony and to pay theadministration. An Abstract in this issue lists the Civil Administrationpayments and pensions to the civil ministration for 1797. With theapprobation of the Governor-in-Chief of the Canadas, General RobertPrescott. .
Maskelyne, Nevil, British astronomer (1732-1811). Greenwich, 20. VI. 1798. - 3 pp. on bifolium. 4to. Extensive letter to Messrs. Loggen & Pearson, Attorneys at Law: "Sir, Inclosed with this letter I send you No. I, II, and III accounts between Mr. Buckton, printer, and the Commissioners of Longitude: the first for cash, and the second & third for paper. The Committee of the Board desire that both the printed sheets and the remaining blank paper of both works may be delivered at Mess. Elmsly & Bremner their booksellers, with all convenient speed; and if the blank paper in hand should not be found adequate to what it should be by the accounts II & III the value of it may be deducted from the ballance due to Mr. Buckton. I have just received a letter from Mr. Barton Greenwood, mentioning that his material for printing & other effects must be immediately sold, the whole of which are estimated at about £160. He wishes to know whether any assistance by way of advance can be made to him to redeem his materials, which may be secured to the Board till the advance shall have been discharged. He understands these materials have been expressly provided for the works of the Board of Longitude & Board of Ordnance (the latter for printing the Greenwich Observations) and would be so depreciated as to sell but for oldweight, being useless to any one not being by them employed. He wishes for my answer [.]". - Traces of old folds; slight duststaining. Royal Society of Arts. - Technik. - Landwirtschaft. - Ökonomie. - Shipley, William. 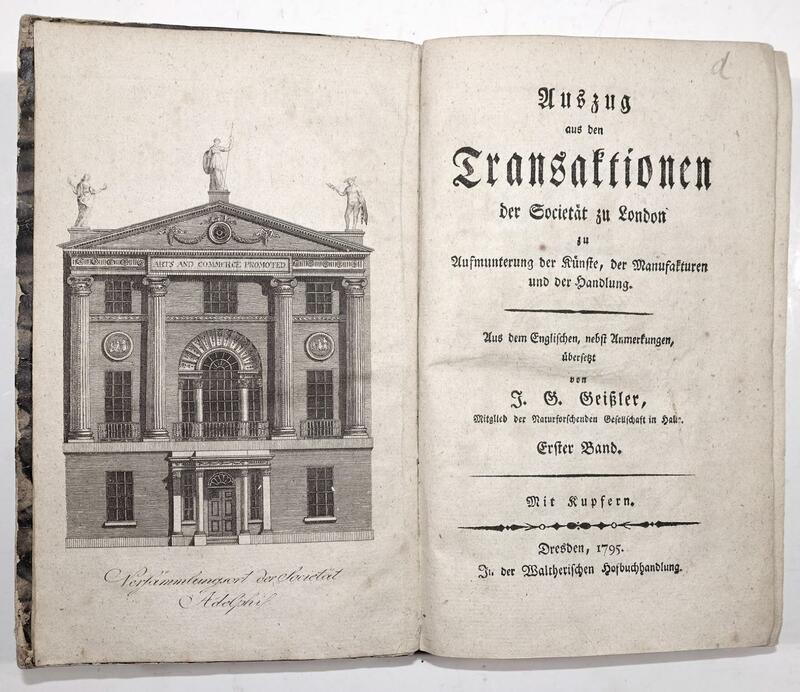 - Geißler, J. G.
Auszüge aus den Transaktionen der Societät zu London, zu Aufmunterung der Künste, der Manufakturen und der Handlung. Aus dem Englischen, nebst Anmerkungen übersetzt von F. G. Geißler. 3 Bände. Les Arts / Portrait de jeune fille. - 2 lavis originaux. 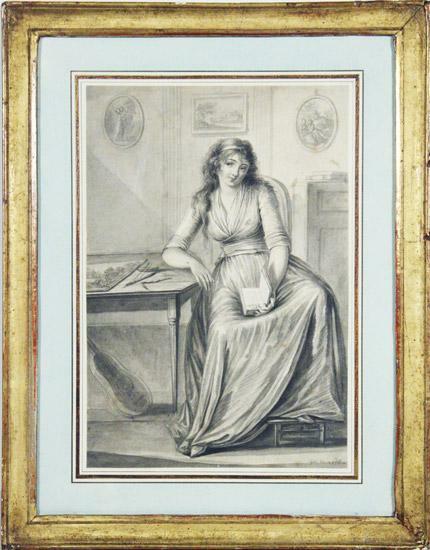 1798, 1798 - 25.5 x 17.5 cm / 27 x 18.5 cm, lavis gris à l?aquarelle représentant une jeune femme lisant un livre (Paul et Virginie, roman publié en 1787) avec les attributs des trois arts: art de la parole (livre), de l?image (tableau) et du beau jeu des sensations (instrument de musique) / lavis gris à l?aquarelle représentant une jeune femme avec chapeau dans la main, signés et datés ?Gide in. 1798?, encadrements en bois doré (36.5 x 28.5 cm / 37.5 x 28.5 cm). 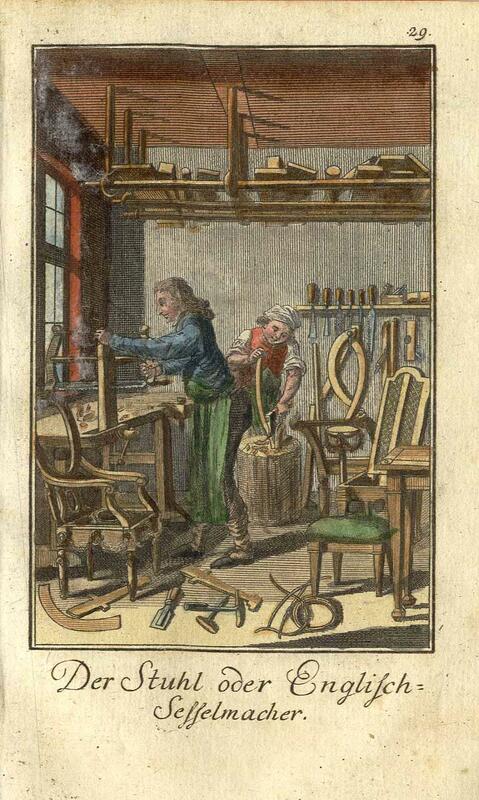 2 lavis originaux du peintre et émailleur genevois Etienne Gide, fondateur de la petite manufacture de Nyon avec son beau-frère Ferdinand Müller, en 1781.Please notify before visiting to see a book. Prices are excl. VAT/TVA (only Switzerland) & postage. A Description of a Remarkable Vision, seen by Thomas Webster, while speaking over a corpse at the grave's side, on the 7th of August, 1794, . in Bermondsey Church-Yard, accompanied with an exact representation. Also of another seen by Four Colliers on the 24th of June, 1796, with the prophecy of Humphrey Tindal, Vicar of Wellenger, shewing the Downfall of the Clergy, and the Woeful and Miserable Condition of this Kingdom, with several other remarkable Passages, As printed by I. M. 1642. Kalendario manual y Guía de forasteros en Madrid, para el año 1799. 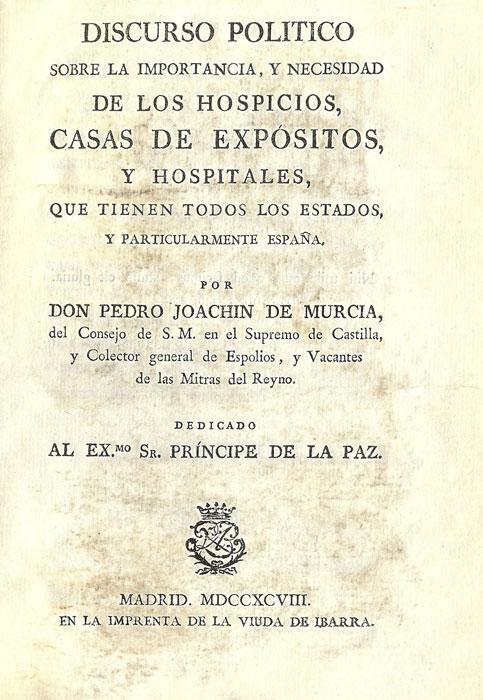 Seguido de El Estado Militar de España, año de 1799. Voyages to the East-Indies. Translated from the Original Dutch, by Samuel Hull Wilcocke. With Notes and Additions by the Translator. Emmerich. Sectio IX Tab XIII.':. 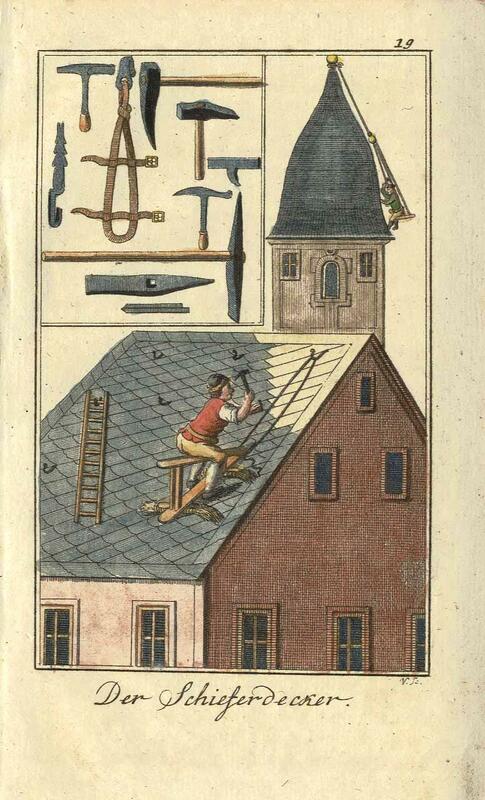 - Kupferstich b. Wiebeking, 1798-1807, 36 x 61 Tooley's Dic. of Mapmakers S. 664. 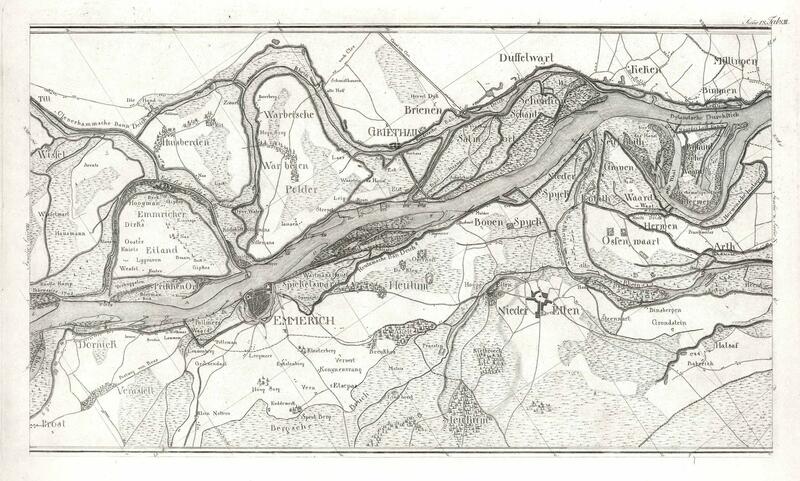 - Zeigt den Rheinlauf von Emmerich-Praest bis Herwen (NL) mit den beidseitigen Ufern Huisberden, Warbeyen, Griethausen, Brienen, Düffelward, Keeken, Millingen (NL), Dornick, Niederelten, Spyck, Lobith etc. - Detaillierte Karte mit Einzeichnungen von Bauernhöfen. - Emmerich mit Stadtplan. London. E. Newbery.1798. xv, [1 blank], 200 pages. 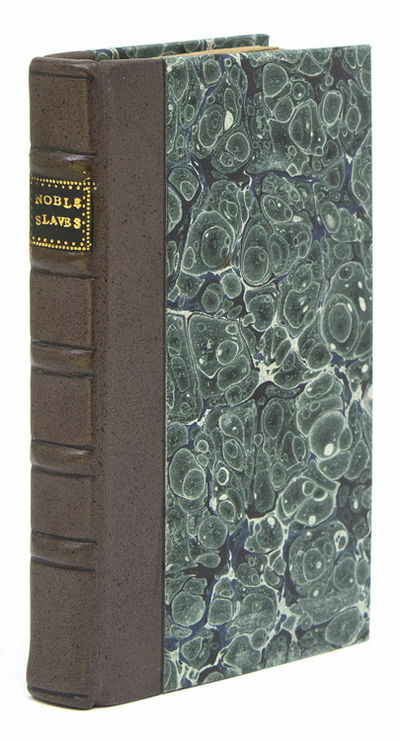 Illustrated with an engraved frontispiece and a wood-engraved vignette on title. 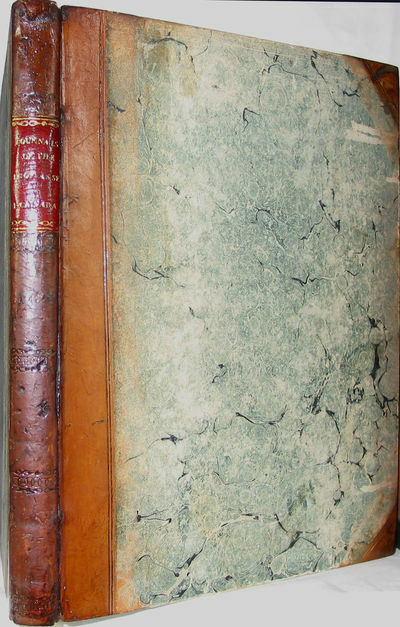 Original quarter green vellum over marbled boards, with a paper label to spine. Small 12mo. 139 x 92 mm. First edition. Short tear in one leaf without loss; corners worn; else a very good copy. Roscoe J 208. Poems on various Subjects . Parte of the Great Pacific Ocean. 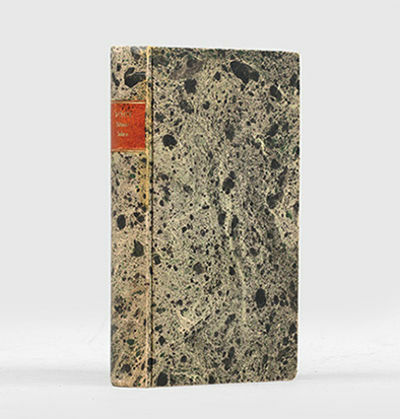 - Chez Buisson, A Paris 1798 - 1799, In-8 (12,5x19,5cm), (4) viij, 515pp. et (4) 412pp. et (4) 399pp. et (4) 326pp. et (4) ij, 402pp. 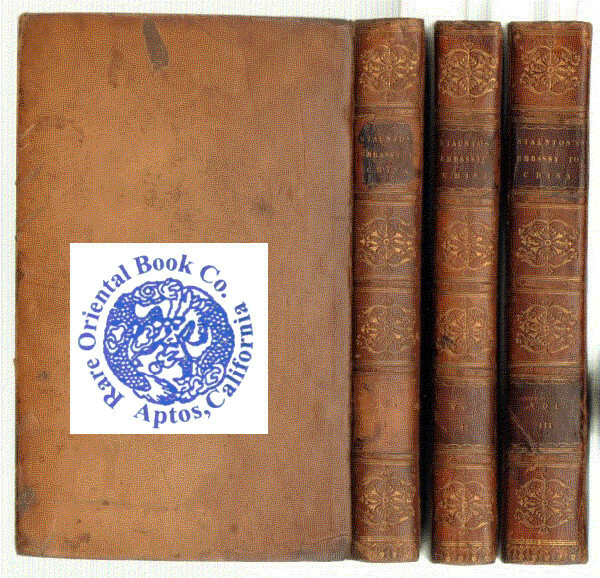 ; (2) 30Pl., 5 volumes reliés. 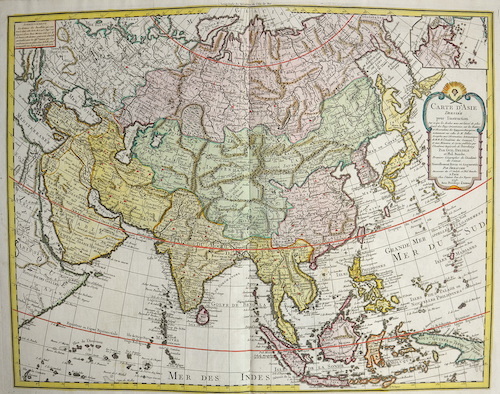 - Edizione originale dei primi 4 volumi pubblicati nel 1798, e il supplemento del volume 5 ° che contiene una specifica di storia cinese e di viaggio in Cina e in Tartaria Huttner, e l'atlante di 32 tavole e sembra anche per la prima volta. 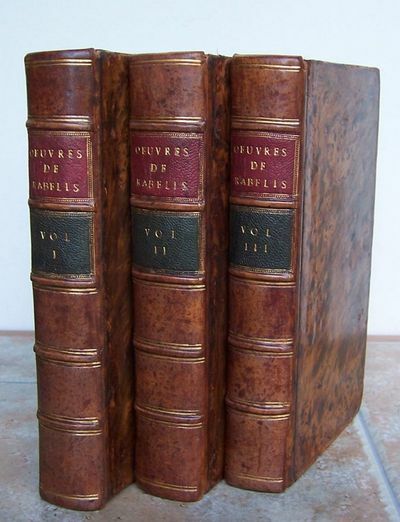 - [FRENCH VERSION FOLLOWS] Edition originale des 4 premiers volumes parus en 1798, et du 5e volume de 1799 en supplément contenant un précis de l'histoire de la Chine et le voyage en chine et en Tartarie de Huttner, ainsi que de l'atlas de 32 planches (moeurs chinoises, pieds des femmes chinoises, costumes, architecture...) et qui paraît également pour la première fois dans la seconde édition. Les 4 premiers volumes contiennent 4 frontispices et 3 grandes cartes dépliantes en fin du tome 4 (excellentes cartes du voyage, de la Chine...). Nombreux tableaux en fin du volume 4, sur le commerce, la monnaie... 39 planches dont 4 frontispices, 4 cartes. Reliures en pleine basane brune marbrée d'époque. Dos lisses ornés de 2 types de fers caissonnés et de roulettes. Pièces de titre en maroquin rouge et de tomaison en maroquin vert. Dentelle d'encadrement sur les plats. Coiffes de tête des tome I et 4 arrachées. Une partie de la coiffe de tête du tome 2 arrachée. Coiffes de queue des tomes 1 et 2 élimées. Mors supérieur du tome 1 fendu. 2 trous de vers le long du mors inférieur du tome 5. 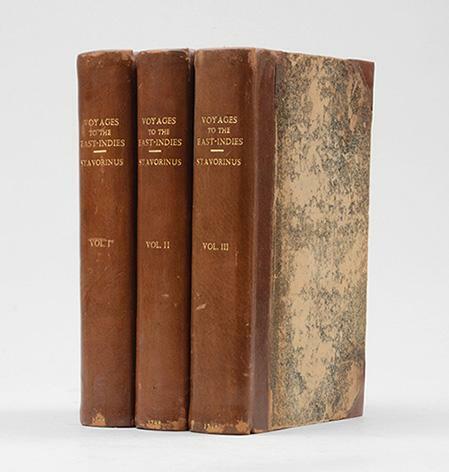 Les 4 premiers volumes frottés. Mors supérieur du tome 4 ouvert en queue. Epidermures sur le dos du tome 2. Le tome 5, bien que très proche des 4 premiers est très sensiblement différent (typographie différente pour la pièce de titre, fers semblables), et ne semble pas avoir connu le même relieur, mais un meilleur relieur. Les planches 33 et 34 ont été reliés dans le texte du volume 5. Ex libris gravé aux armes : Bibliothèque du château de Menneval. Ce voyage fut assemblé d'après les papiers de Lord Macartney ainsi que des commandants et des ambassadeurs du voyage par le secrétaire de Macartney, sir George Staunton. Macartney fut envoyé en Chine sur ordre du roi george III en ambassade extraordinaire pour la première fois dans le but d'établir des relations commerciales, de rencontrer les élites chinoises et de rapporter de son voyage toutes les observations possibles. Il embarqua à Portsmouth avec trois navires, Le lion, l'Indostan et le Chacal. Macartney traversa en grande partie le pays en s'arrêtant à Tianjin et Pekin. Cependant, en raison de coutumes différentes, l'ambassade fut un échec complet. Pour les Chinois, les relations dipomatiques ne pouvaient se faire sur un pied d'égalité, les ambassadeurs devaients se prosterner devant l'empereur et lui prêter allégeance, ce que Macartney refusa, celui-ci ne pouvant accepter une quelconque subordination du roi d'Angleterre à l'empereur de Chine. Le rejet catégorique chinois des relations commerciales entraînèrent les prémices de ce qui constituera les guerres de l'opium et la chute de l'empire chinois. L'ouvrage demeure une des meilleures descriptions des contrées traversées par Macartney, offrant des informations précises sur les sciences, l'histoire naturelle, l'aristocratie... et sera eminemment utile aux suiveurs de Macartney. London, Oxford and [N.P. 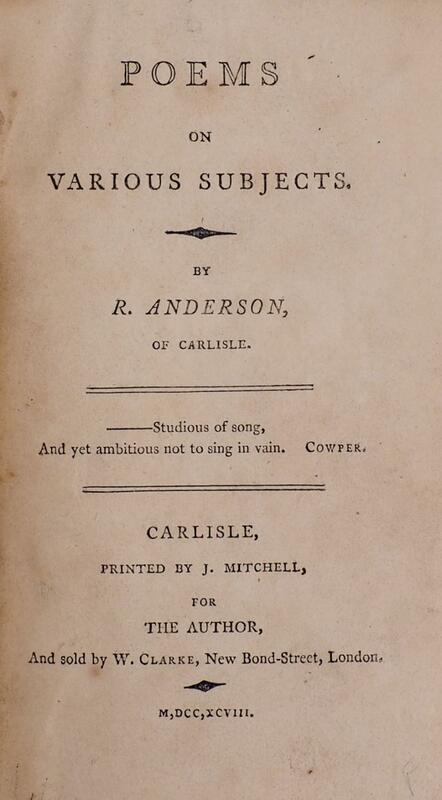 probably London]: By Baylis and sold by the author, 1798; 1814; 1814. First Editions Of Three Separate Works. Bound without the half-title. With an engraved plate of the tower, which sometimes is placed as a frontispiece, two engraved plans on one plate, and two engraved reproductions on one plate. 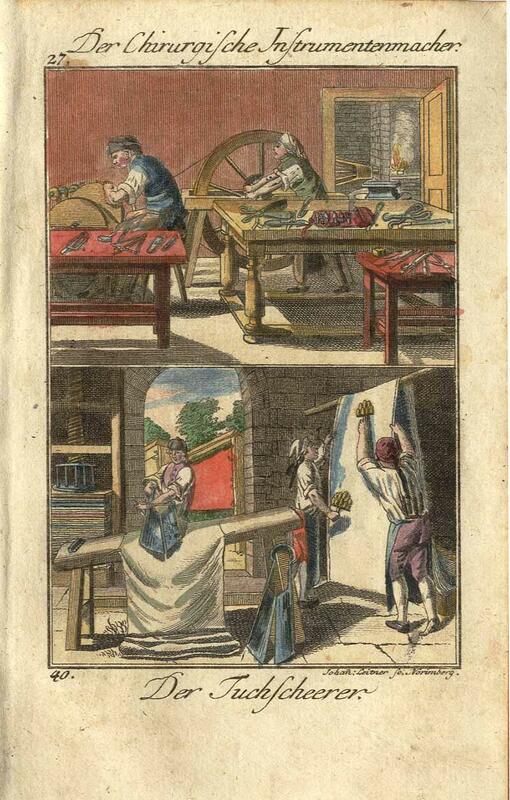 Additionally, there is the folding panorama as the frontispiece to the Badajoz volume. 8vo,, contemporary style calf, the spine with double gilt ruled bands, the compartments with panel designs of gilt corner work and central fleurs-de-lys, red morocco lettering label gilt. , 255,  pp. plus plates; , 53 pp. ; 12 pp. Neat bookplate and name on preliminary blank, and slight offsetting from one plate, but fine in attractive binding. FIRST EDITION OF ALL THREE WORKS. The books here included are all considered quite scarce indeed. Few copies appear in the marketplace and few are in collections world wide. Cléry was the King's valet and this is a first hand account. 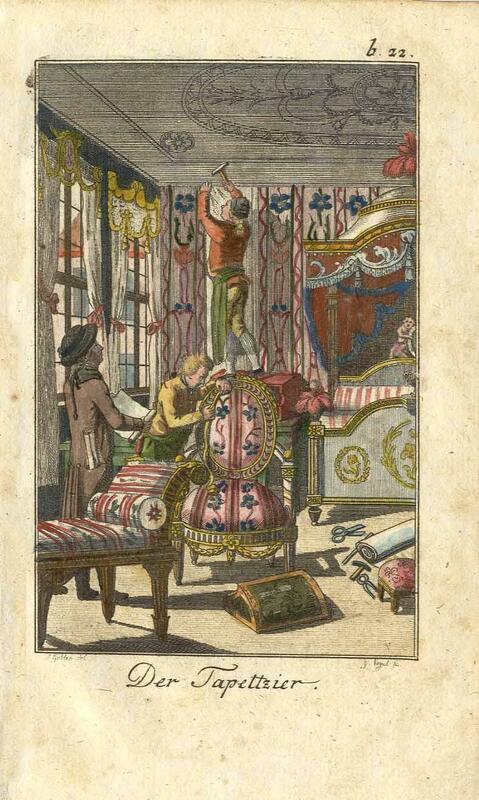 It is considered the most important period writing on the captivity of Louis XV|. It is bound with two other very scarce works, A Correct Account Of The Visit Of His Royal Highness The Prince Regent, And His Illustrious Guests, To The University And City Of Oxford, In June, 1814. To Which Is Added The English Poems, Recited On The Occasion; Accompanied by Some General Remarks. Oxford, 1814, and with A Short Description of Badajoz, And The Surrounding Country; With Extracts From The London Gazette; Explanatory Of The Pictures Exhibiting In The Panorama, Leicester Square, Representing The Siege In 1812. Taken from the Fort La Picurin. Badajoz was considered the bloodiest of all of the sieges by Wellington during the Peninsular War campaigns. BONN. 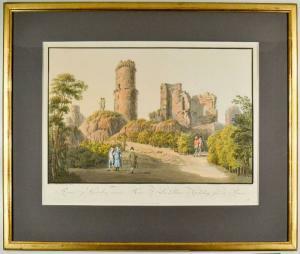 - Bad Godesberg., "Ruin zu Godesberg unweit Bonn". Ansicht der Ruinen mit mehreren Personen staffagiert. 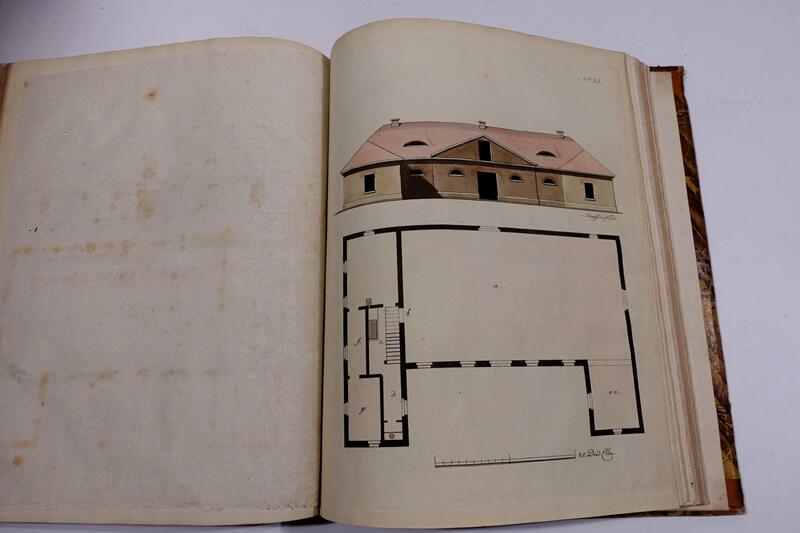 - Chez Buisson, A Paris 1798 - 1799, In-8 (12,5x19,5cm), (4) viij, 515pp. et (4) 412pp. et (4) 399pp. 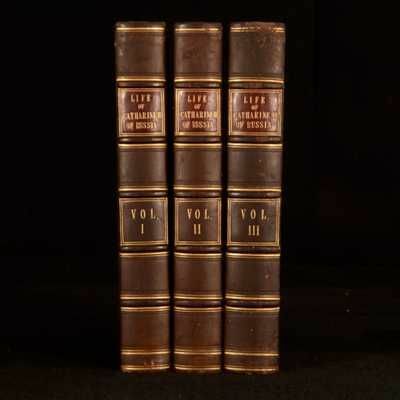 et (4) 326pp., 5 volumes reliés. - Edizione 4 illustrato frontespizio e 3 grandi mappe pieghevoli alla fine del Volume 4 (carte eccellente viaggio, Cina ...). Molti tavoli alla fine del Volume 4, sul commercio, valuta ... Legatoria in piena pelle di pecora periodo biondo porfido. indietro liscio decorato con due differenti catene, posizione del rullo di nervi e coda. parti del titolo e numero del volume in marocco verde. Frisia inquadratura sui piatti. copertura di testa di I Volume in parte consumato. Un angolo ottuso. Alcune tracce di attrito. Molto bella copia. Questo viaggio è stato assemblato dalle carte di Lord Macartney e comandanti e gli ambasciatori del viaggio del segretario di Macartney, Sir George Staunton. Macartney è stato inviato in Cina per ordine del re Giorgio III nel straordinaria ambasciata per la prima volta, al fine di stabilire relazioni commerciali, incontrare l'elite cinese e portare il suo viaggio di tutte le possibili osservazioni. Ha navigato da Portsmouth con tre navi, il leone, Hindustan e lo Sciacallo. Macartney in gran parte attraverso la terra, fermandosi a Tianjin e Pechino. Tuttavia, a causa delle diverse abitudini, l'ambasciata è stata un completo fallimento. Per i cinesi, il rapporto dipomatiques potrebbe essere su un piano di parità, i devaients ambasciatori si inchinano davanti all'imperatore e pagare fedeltà a lui, che Macartney ha rifiutato, non poteva accettare alcuna subordinazione del Re di Inghilterra per l'imperatore della Cina. rifiuto categorico della Cina di relazioni commerciali ha portato agli inizi di quello che costituirà le guerre dell'oppio e la caduta dell'impero cinese. Il libro rimane una delle migliori descrizioni delle regioni attraversate dal Macartney, fornendo informazioni accurate sulla scienza, storia naturale, l'aristocrazia ... e sarà eminentemente utile ai seguaci di Macartney. - [FRENCH VERSION FOLLOWS] Edition originale illustrée de 4 frontispices et 3 grandes cartes dépliantes en fin du tome 4 (excellentes cartes du voyage, de la Chine...). 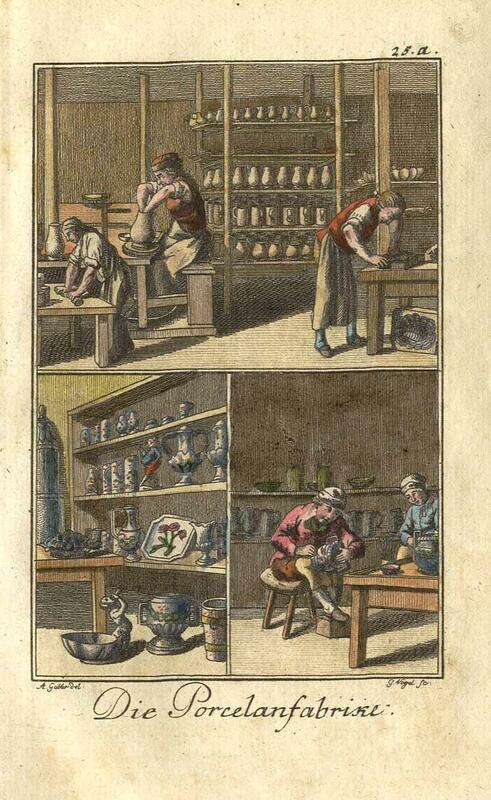 Nombreux tableaux en fin du volume 4, sur le commerce, la monnaie... Reliures en pleine basane blonde porphyre d'époque. Dos lisses ornés de 2 fers différents, roulettes à l'emplacement des nerfs et en queue. Pièces de titre et de tomaison en maroquin vert. Frise d'encadrement sur les plats. Coiffe de tête du tome I en partie élimée. Un coin émoussé. Quelques traces de frottement. Très bel exemplaire. 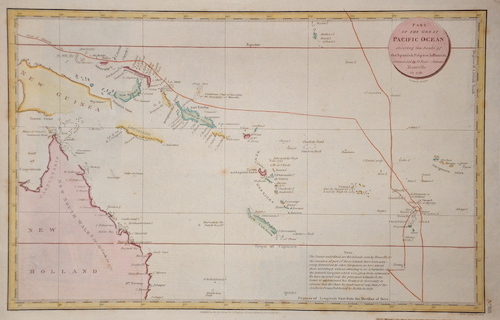 Ce voyage fut assemblé d'après les papiers de Lord Macartney ainsi que des commandants et des ambassadeurs du voyage par le secrétaire de Macartney, sir George Staunton. Macartney fut envoyé en Chine sur ordre du roi george III en ambassade extraordinaire pour la première fois dans le but d'établir des relations commerciales, de rencontrer les élites chinoises et de rapporter de son voyage toutes les observations possibles. Il embarqua à Portsmouth avec trois navires, Le lion, l'Indostan et le Chacal. Macartney traversa en grande partie le pays en s'arrêtant à Tianjin et Pekin. Cependant, en raison de coutumes différentes, l'ambassade fut un échec complet. Pour les Chinois, les relations dipomatiques ne pouvaient se faire sur un pied d'égalité, les ambassadeurs devaients se prosterner devant l'empereur et lui prêter allégeance, ce que Macartney refusa, celui-ci ne pouvant accepter une quelconque subordination du roi d'Angleterre à l'empereur de Chine. Le rejet catégorique chinois des relations commerciales entraînèrent les prémices de ce qui constituera les guerres de l'opium et la chute de l'empire chinois. L'ouvrage demeure une des meilleures descriptions des contrées traversées par Macartney, offrant des informations précises sur les sciences, l'histoire naturelle, l'aristocratie... et sera eminemment utile aux suiveurs de Macartney. NB : Cet ouvrage est disponible à la librairie sur demande sous 48 heures. 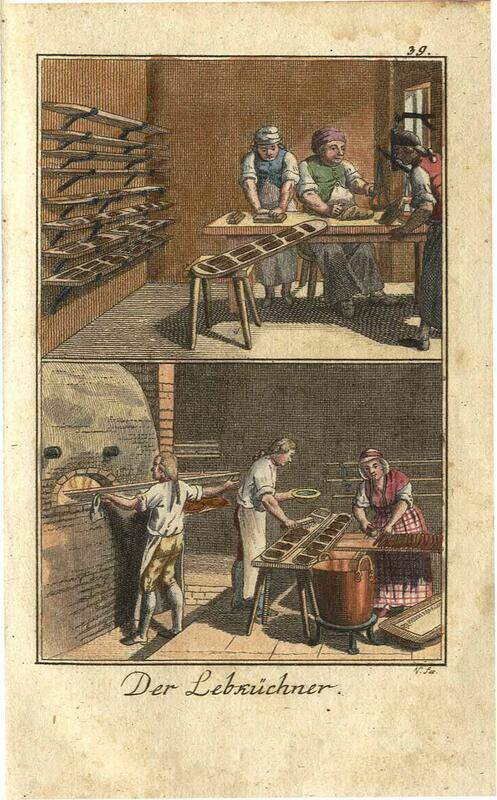 - 2 altkolorierte Kupferstiche v. G. Vogel n. A. Gabler b. Johann Peter Voigt, 1798, je 14 x 8,5 Zeigt zwei altkolorierte Kupferstiche zum Bleiweißfabrikanten. Der Chirurgische Instrumentenmacher' u. 'Der Tuchscheerer'. 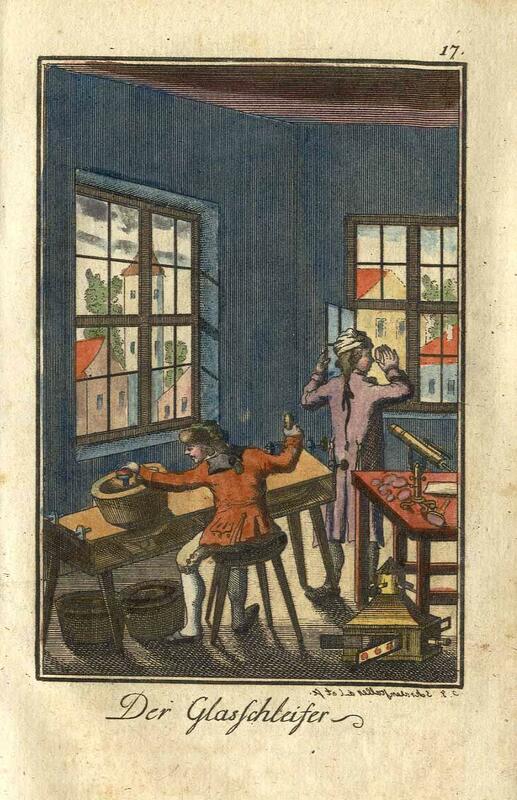 - altkolorierter Kupferstich v. Johan Leitner b. Johann Peter Voigt, 1798, 14 x 8,5 Zwei Ansichten auf einem Blatt. - altkolorierter Kupferstich v. G. Vogel b. Johann Peter Voigt, 1798, 13,5 x 8 Klein S. 38. 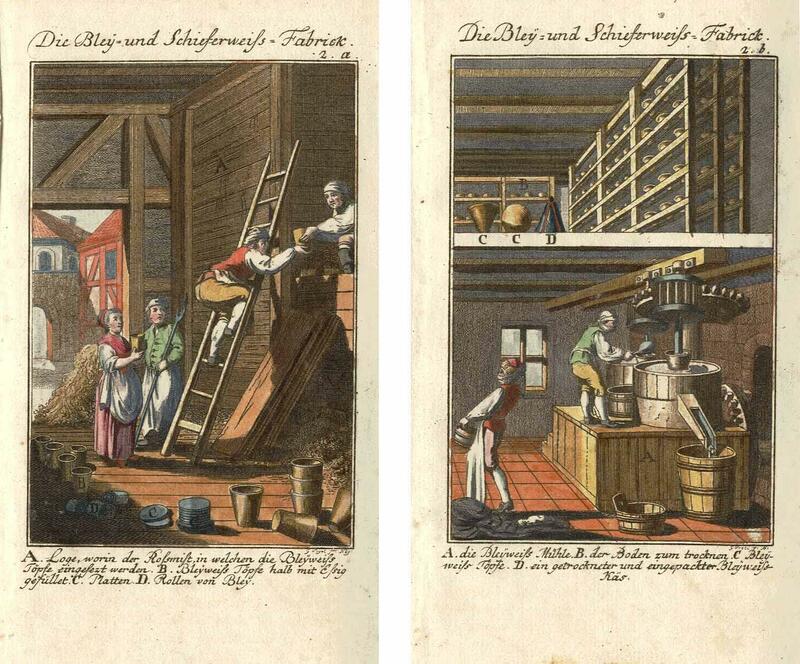 - altkolorierter Kupferstich v. G. Vogel n. A. Gabler b. Johann Peter Voigt, 1798, 13,5 x 8 Zeigt das Aufhängen von Wandtapeten und Gardinen, Veredlung von Alkoven und das Beziehen von Sesseln und Kanapees. - Innenausstatter / Raumausstatter. Carte d Asie dressee pour l instruction. Die schöne Landbaukunst oder neue Ideen und Vorschriften zu Landgebäuden, Landhäusern und Oekonomie-Gebäuden im gefälligen; Ideen zu Gebäuden für öffentliche und Privatbelustigunge ingleichen zu Gebäuden für im ernsthaftern aber edlen Style, in Grundrissen, Aufrissen und Durchschnitten; dargestellt durch Kupfertafeln von einigen der besten Baumeister und Conduc-teure in Sachsen. Discurso político sobre la importancia, y necesidad, de los hospicios, casas de expósitos y hospitales, que tienen todos los estados, y particularmente España. London - T N Longman, 1798 Book. VERY GOOD INDEED. Hardcover. A biographical work on the Empress of Russia. Catharine the Great was Russia's longest ruling female leader. She came to power following a coup d'etat in which her husband Peter III was assassinated. Illustrated, with seven portraits over two plates and a map of Russia. Collated, complete. With the bookplate of an individual whose initial starts with 'T'. The crest to this work has the crown of a Marquess. In thecircle there isthe motto 'Nemo Me Impune Lacessit' which is the Latin motto f the Royal Stuart dynastyas wll as the Order of the Thistle and three British Army regiments. There is the St Andrew with the saltire in a badge to thebottom. The St Andrew is inside a star,not dissimilar to the capbatch of the BlackWatch or the starof the Order of the Thistle. This work is an English translation ofJean-Henri de Castera's biographical work. Translated from the original French. Condition: In half calf bindings with cloth covered boards. Externally, smart with Patches of rubbing to the head and tail of spines as well as to joints. Rubbing is heaviest to the head of volume III. A few spots to boards. Bookplate to the front pastedown of all volumes. Prior owner's inscription to the head of title pages. Internally, all volumes are firmly bound. Pages are slightly age toned. A few light spots to the first and last few pages. The odd spot. Overall: VERY GOOD INDEED..
Nosographie philosophique ou la méthode de l&#146;analyse appliquée à la médecine. OEUVRES DE MAITRE FRANCOIS RABELAIS, suivies des Remarques publiees en anglois par M. le Motteux, et traduites en francois par C. D. M. Nouvelle edition ornee de 76 gravures. 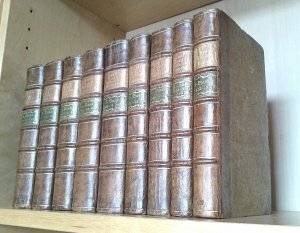 Paris, Ferdinand Bastien, An VI, 1798.. 3 volumes, complete set, FIRST EDITION WITH THESE ENGRAVINGS (1798). French text, 8vo, 215 x 120 mm, 8 x 4¾ inches, portrait, and 75 engraved plates, 3 folding plates of Rabelais' home, folding map, and 71 unsigned engraved plates for Gargantua and Pantagruel, pages: (4), xvi, 471, (8); (2), 624, (10); (2), 595, only Volume I has a half-title, Contents table at the end of each volume, unnumbered in Volumes I and II, bound in full old calf, expertly rebacked, raised bands and gilt rules to spines, contrasting gilt lettered morocco labels, new endpapers. Neat repairs to some corners of covers, slight rubbing and shef wear to covers, pale browning to title page, most text pages lightly browned and lightly foxed to varying degrees, one or two plates faintly browned, margins to a few plates lightly foxed, tiny hole in 1 margin, small chip to edge of 1 margin, small corner torn off 1 text page, no loss to text, small closed tear to margin of 1 page of Contents table, neatly repaired, no loss, pale browning and spotting throughout, otherwise a good set, bindings tight and firm. Cohen, Guide de l'amateur de livres a gravures du XVIII siecle, 843; Brunet IV, page 1059. MORE IMAGES ATTACHED TO THIS LISTING, ALL ZOOMABLE. FURTHER IMAGES ON REQUEST. POSTAGE AT COST.